The largest listed structure in Europe, Park Hill has recently undergone redevelopment to preserve it’s original features while adapting the original concept to meet modern living ideals. These photos were taken prior to this vast investment, and it was an unusual and silent place to explore. At the time, a few people were still living in several of the flats while the majority were abandoned husks. 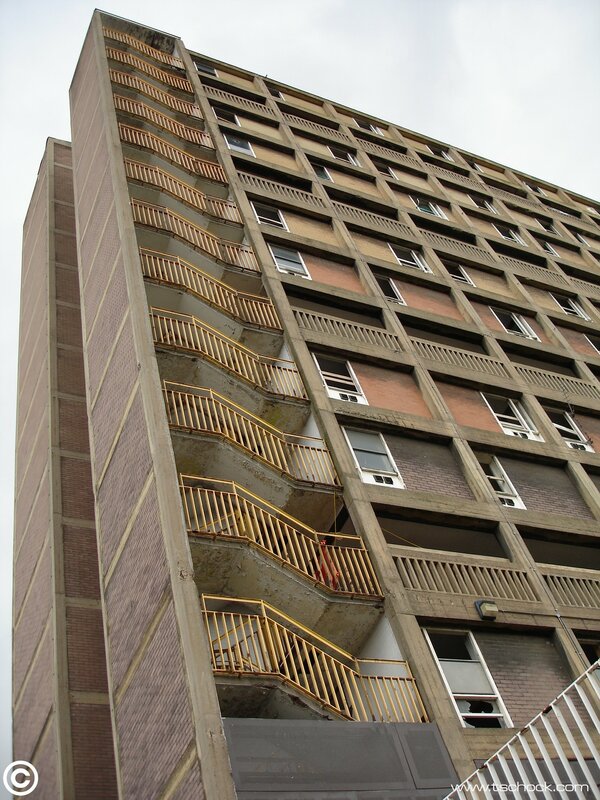 An imposing, futuristic and iconic place which overlooks Sheffield, it became run down like many similar estates across the country that have long been demolished. I’m glad this one has been preserved, from an architectural interest and social history point of view, but also with the ever expanding population in the UK we may need to look back at this way of living and try to learn if it can work. It was a period of invention and exploration of human habitat that shouldn’t be forgotten.